This Inspector pane, give easy access for setting a number of border appearance-related attributes of notes. The results are applied to all selected note(s). Shadow. 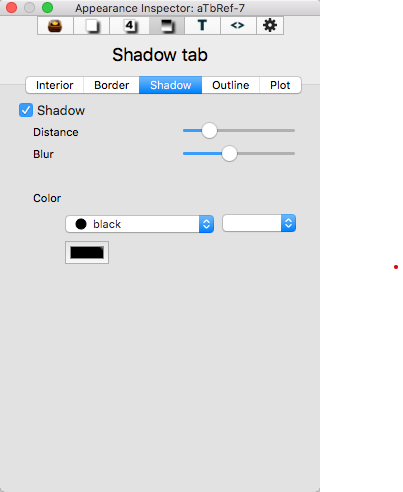 Options for setting $Shadow to show/hide a shadow.